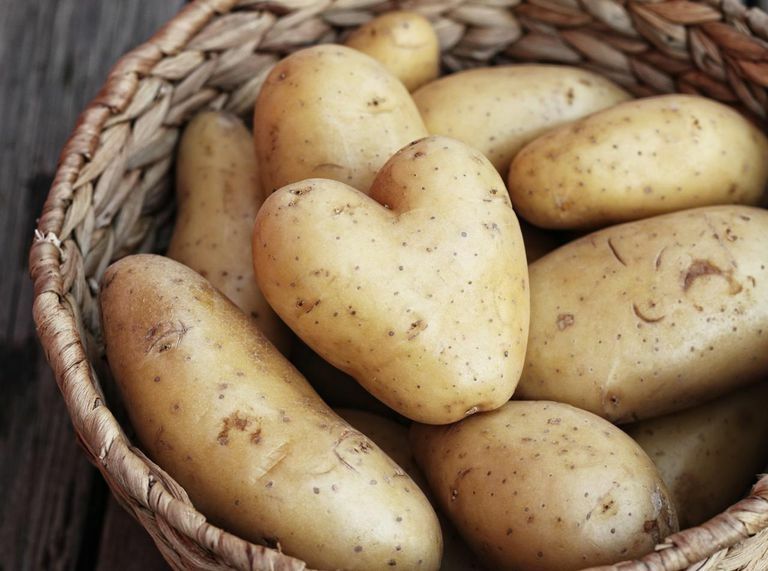 How long do potatoes last and how should you be storing them? Potatoes are an essential part of so many people’s diets around the world. It’s a great food for filling yourself up and is also very versatile. You can make a whole lot of different dishes with potatoes. Everything from mashed potatoes to French fries has become a large part of many diets. There are times when you don’t get to use your whole bag of potatoes too quickly, though. If you’re worried about when your potatoes are going to go bad, you’re probably wondering just how long they are supposed to typically last. The true answer is that it depends on the method you’re using to store them. If you’re storing your potatoes in your pantry, then you can expect them to stay perfectly fine for between three and five weeks. This is long enough for most people to use up a whole bag of potatoes if they cook regularly enough. It is also possible that you don’t cook using potatoes often enough to go through a whole bag in this amount of time. No one wants to waste food. Sadly, potatoes are very commonly one of the foods that get partially wasted. It’s quite common for people to have to throw out potatoes that have been sitting in the pantry for over a month. If you leave potatoes out too long, they can attract fruit flies once they’ve become rotten so it’s important to pay close attention to how old the potatoes in your pantry are. You can store potatoes for much longer in the refrigerator. Refrigeration allows potatoes to keep for between three and four months. This is a huge increase in the amount of time that you’re able to make use of your bag of potatoes so it’s highly recommended to use the refrigerator when possible. If you have enough room in there to store the potatoes comfortably, it is always going to be your best option. You should seek to only use your pantry to store potatoes when you know that you use them up quickly enough to justify it. If you make dishes using potatoes several times a week, you shouldn’t have a problem using up a whole bag of them in under a month. Which storage method will be optimal really depends on your personal habits. If you want to avoid wasting potatoes as much as possible, there are a few practical things you can do. The first option is to buy a smaller bag of potatoes than you have been in the past. This isn’t ideal for some as sometimes the bigger bags are a better value but it’s still going to be less wasteful if you are having trouble using up the whole amount. Small bags are easier to store in your refrigerator, which may already be packed tightly with other food items, as well. It’s also a good idea to offer potatoes that are close to the expiration date to friends or family. Letting them know that they need to be used soon is ideal, of course. Using the potatoes up rather than letting them spoil is better for everyone. As long as you pay attention, you should be fine. You can always make up a quick batch of potato soup and store it in your fridge/freezer if you find you have some expiring soon. « How Many Beers in a Case ?